Dark Point Aboriginal Place, in southern Myall Lakes National Park, is a culturally significant site for the Worimi people with scenic coastal views across to Broughton Island. To protect Aboriginal objects and dune vegetation, vehicles must remain on the beach and are not permitted to drive over the headland. Vehicle (4WD) access to the beach is available at Lemontree or via Hawks Nest. Please be aware that Aboriginal sites form a rich part of the cultural history of the region. Please help to protect this cultural heritage by not removing any relics or artefacts. 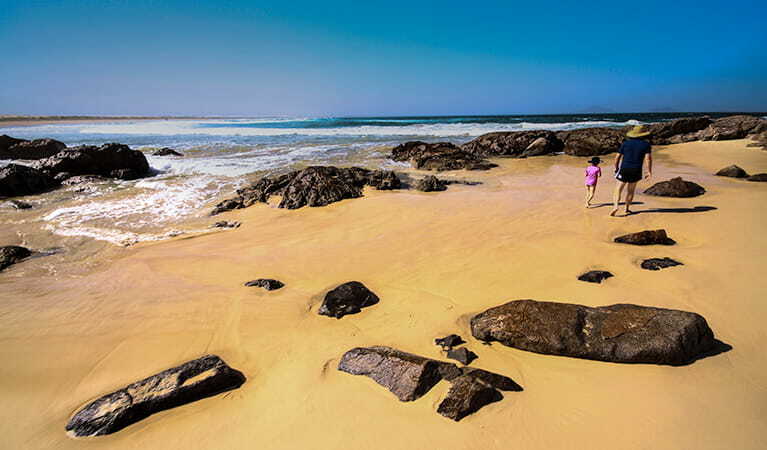 The rocky headland of Dark Point, north of Hawks Nest and in the southern area of Myall Lakes National Park, was declared an Aboriginal Site of significance in 2002. This area has a rich cultural history and has been a gathering place for the Worimi people for over 4000 years, making it well worth a visit. 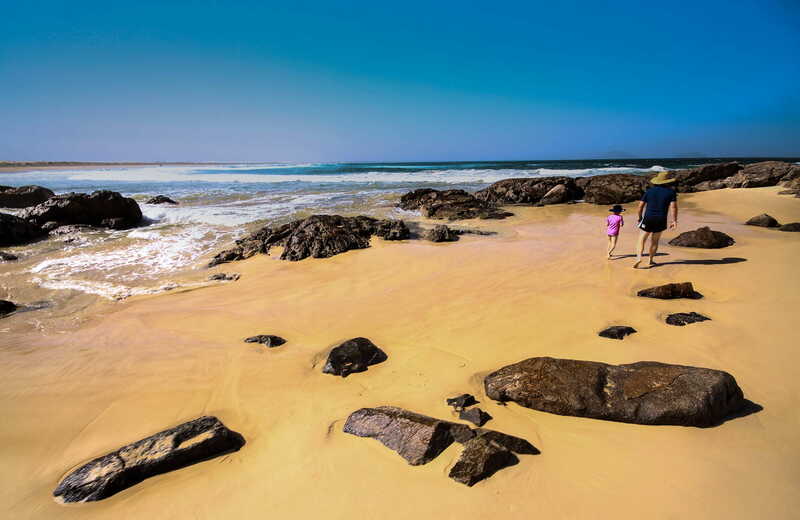 Walk along Dark Point walking track to the headland and take in the fresh coastal breezes. Observing the sweeping scenic views across to Broughton Island, you can imagine why it was a popular spot for so long. The Worimi people would gather here in clan groups, or nuras, to feast on the abundant seafood. Traditional burial sites, as well as middens, have been found in this area.